We’re hosting one last Market Demo this weekend! 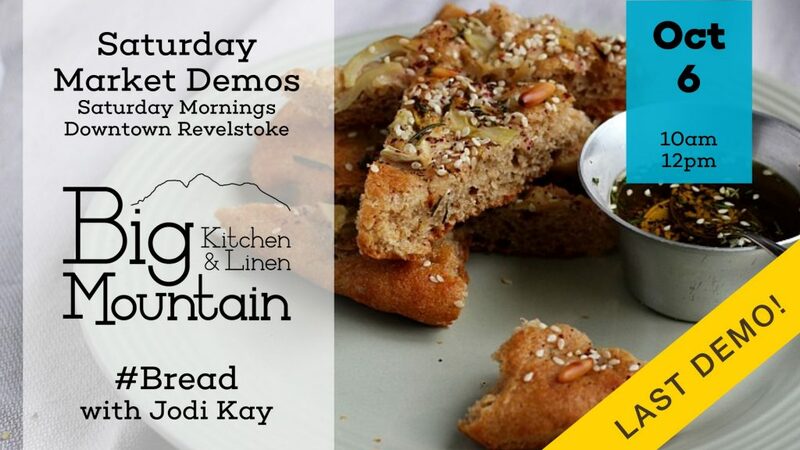 Jodi Kay from the Happy Hearted Kitchen will be joining us to share some secrets and discuss the tools we sell to make amazing bread at home. Can’t wait to see you all! We’ll be set up for video again, so you’ll be able to catch the tips from anywhere if need be. We’ll be talking and sharing between 10am and noonish, so stop by for some samples, yum! This entry was posted in Saturday Markets. Bookmark the permalink.